Join us for an exceptional night of poetry and music celebrating the centenary of the end of World War II. 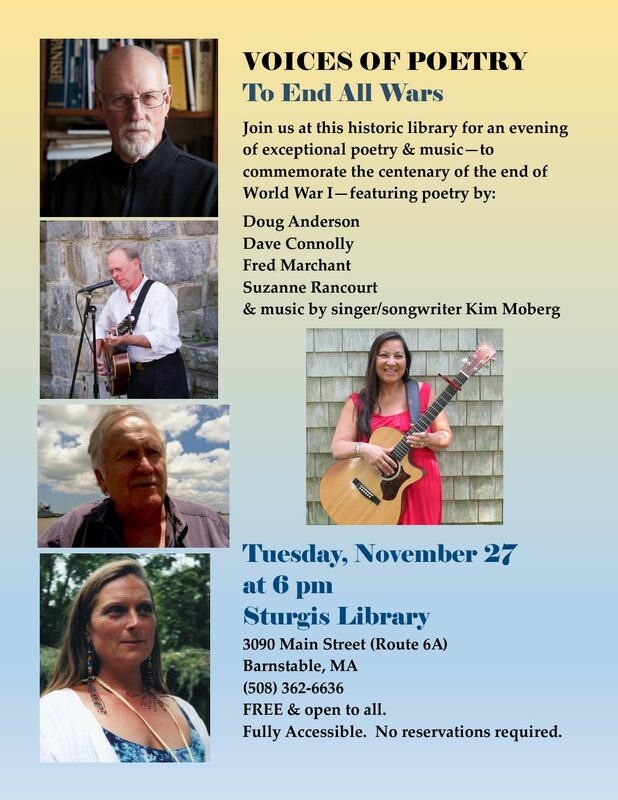 Featured Poets for the event will be Doug Anderson, Dave Connolly, Fred Marchant, and Suzanne Rancourt. Music will be provided by Kim Moberg.